I was in the business world for several years (public relations executive) but, for many of them, I was the “go to” person in the office for advice on wellness and nutrition. I always, mistakenly, thought that if something was a passion it was, well, a passion and a hobby. In 2009, I enrolled at the Institute for Integrative Nutrition. It’s headquartered in New York City, but students come from all over the world; I remember in one of my classes I sat next to a woman who traveled from Korea. Once I heard two students from Brazil and one from India, speak. Another time I met a student from Mexico. Well, you get the picture! While there, I received a world-class education. My instructors included people like Dr. Andrew Weil; Dr. Mark Hyman; Geneen Roth; Deepak Chopra; Dr. David Katz and a lot of others. It was a world different from anything I had experienced; I was now part of a movement, living my passion and mission–and having fun while I was at it. Probably the biggest change came from my own transformation. You see, months before I enrolled, I was stressed to the max and experienced many, many problems–personal and professional. As a result, I gained 65 pounds, my blood pressure shot up and my knees hurt so badly that I actually remembering standing on the first floor of an apartment building–because I wasn’t sure I wanted to make the climb to the 4th floor apartment to visit someone. So, as I learned, I also experimented on myself. I actually consider myself my first client. I tried all different dietary theories to learn what worked for me and what didn’t. I experimented with different lifestyle techniques. In short, I coached myself. Today, I’m happy, successful, strong and passionate–and minus the 65 pounds that I had gained. I’m also proud to be a school ambassador, so if you’d like to know more, please contact me through my website: www.irenefross.com. It’ll be one of the best decisions you ever made! New York City Mayor Proposes Ban on Large Sodas: What Do You Think? New York City Mayor Michael Bloomberg has proposed a ban on all bottled and fountain sodas larger than 16 ounces. It does not prohibit diet sodas, fruit juices, dairy-based drinks, like milkshakes, and alcohol. The ban, which is expected to pass, applies to restaurants, movie theaters, ballpark concession stands and food carts. It does not apply to supermarkets. The mayor cites the obesity epidemic as the reason for this. In fact, in New York City alone, more than half adults are overweight or obese, according to the Health Department. 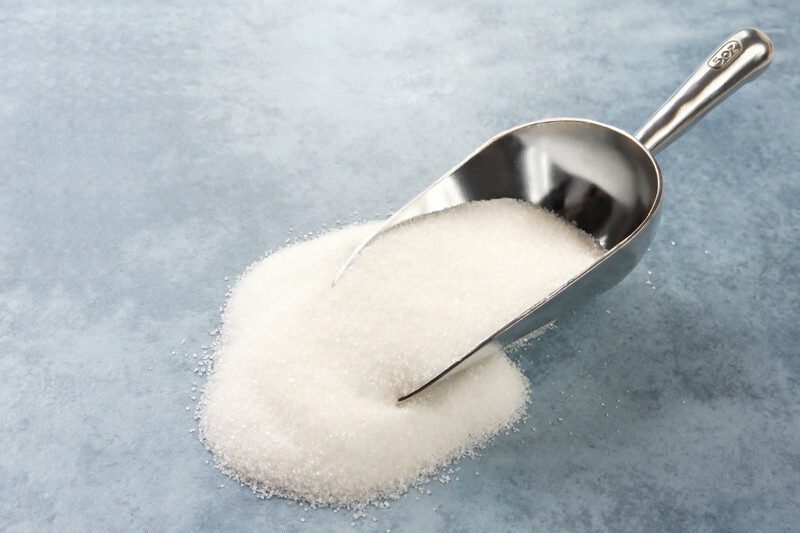 As a nutrition and wellness coach, I often speak of the problems associated with sugar and the obesity epidemic–but I must admit, I have some very mixed feelings about this. It seems to me that this only puts a bandaid–and a pretty ineffective one at that–on the root problem. Might the time and effort–and I assume money–be better spent on education, prevention and research? What would keep a person from just re-filling the smaller glass? Wouldn’t it be better to focus on personal responsbility and get to the root of the problem? Wouldn’t it be better, say, for insurance policies to include wider coverage for education and prevention, for instance, gyms and nutrition and wellness experts–who could work with the people to help them alter their unhealthy habits forever? And why target soda? Frankly, diet drinks are just as problematic, if not more so–given a choice, I know I would drink a regular soda than diet. And, ironically, tomorrow is National Donut Day. Really? How much sugar is in those? I know one tiny chocolate cake donut has at least three (3) teaspoons of sugar in it. Dairy-based drinks don’t add to the obesity problem? What about the huge flavored coffees that sometimes pack as many as 10 teaspoons of sugar? According to a report on NBC New York, It’s not the first time the mayor has tried to limit consumption of sugary drinks by city residents: in 2010, he proposed that food stamps be prevented from being used for sugary drinks, stating at the time that people needed to be protected from diseases like diabetes and cancer. Once again, that personal responsibility issue…. Tell me what you think of this. I’d love to hear ALL of your comments, whether or not you live in New York City. Irene Ross, CHHC, AADP is a certified nutrition and wellness coach who helps people instantly double their energy so they avoid that mid-morning or afternoon slump, get more done in less time and balance their lives. Author of the forthcoming book, 25 Ways to Fire Up Your Day: Increase Energy, Get More Done in Less Time, Balance Your Life, her website is: www.eating4achieving.com. She writes a free, twice-monthly newsletter, ‘Power Wellness,” full of tips for healthy eating and lifestyle. Like her page on Facebook: http://conta.cc/JVhRNe (eating4achieving.com) and get a free download of her report, Sugar’s Sour Story. Also on Twitter (@yetmorehealth), LinkedIn and Pinterest. Listen, as a health and wellness coach, I sure know about stress–and what this weak economy and job market can do you. But here’s the best coach I know! to you always working for the business. What Are Your Challenges to Wellness? This post is going to be a little different–because I’m not going to talk to you but, rather, you’ll talk to me. Tell me what’s on your mind! After all, how often do you get a chance to really think about your health and wellness goals–and then discuss them with someone? 1) What is your biggest challenge in being in peak health? 2) What is your biggest obstacle in being in the best shape of your life? I’ll check periodically for replies, and I look forward to “meeting” you! Talk to you soon. The other day one of my clients told me how worried she was about her husband’s nutrition. He eats a lot of “junk”, she said, and will automatically turn away, without even tasting anything that could be remotely healthy. It’s not my style to simply lecture on the importance of eating fresh, whole foods. I also didn’t lecture her on how eating healthy can also be fun and delicious. It wasn’t what was in cupcakes but, rather, what they didn’t have. They weren’t loaded with sugar, butter and other goo. They were just great-tasting little cakes made with healthy, natural ingredients and topped with agave-sweetened frosting. The Babycakes cupcakes, by the way, won the coveted “Best of New York” this year in New York Magazine. The bakery started in 2005 when the owner, Erin McKenna, discovered she had food allergies—and then couldn’t find a vegan bakery to satisfy her sweet tooth. So she decided to start her own. Speaking of food allergies, according to the Food Allergy and Anaphylaxis Network (FAAN), scientists estimate that 12 million Americans suffer from them. Although many Babycakes products are gluten free, there are some that are made with Spelt, a distant cousin of wheat. Spelt has kind of a nutty taste it’s often preferred by health enthusiasts, because it has 15-20% more proteins, is higher in complex carbohydrates, is rich in magnesium, is lower in overall carbohydrates, has not been genetically altered, and contains enzymes that assist in glucose and insulin secretion. The moral of this story: Health and wellness can be delicious, enjoyable and FUN! And, incidentally, the client told her husband that story; he became so convinced, he took a trip down to the bakery that very same day. Today, Babycakes has locations in both New York and Los Angeles, with a cookbook available. For more information, please visit: www.babycakesnyc.com. Irene Ross, CHHC, AADP is a NYC-based, certified nutrition and wellness coach. She works with people to help them instantly double their energy so they avoid that mid-morning or afternoon slump, get more done in less time and balance their lives. Author of the forthcoming book, 25 Ways to Fire Up Your Day: Increase Energy, Get More Done in Less Time, Balance Your Life, she writes a twice-monthly free newsletter called “Power Wellness”–full of tips and suggestions for healthy eating and lifestyle. To subscribe: http://visitor.r20.constantcontact.com/d.jsp?llr=codjsljab&p=oi&m=1109563575746.